my girls over at ban.do created the most darling valentine’s collection! 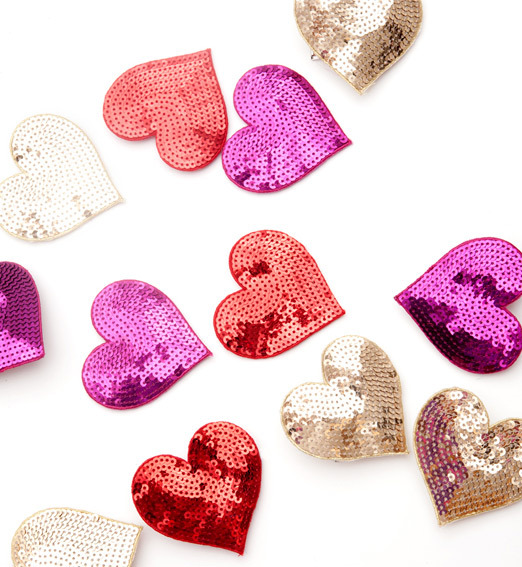 i have a few of these sequin hearts and i can never get enough! and how sweet is this, they’ll send an adorable valentine’s card to whoever you’d like along with your purchase. such a sweet idea to send a friend a sequin-y present with a fun card! the picture of the girl is so cute! How sweet! I just stumbled upon your blog. Very sweet.